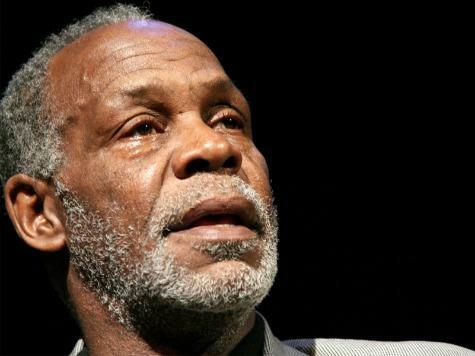 In this special edition of UK Perspectives guest host Carl Nathe talks with actor Danny Glover, this year's keynote speaker of Lexington's Martin Luther King Day festivities. Two local performers will share the stage with actor, director, producer, humanitarian and political activist Danny Glover at Lexington's 2016 Martin Luther King Jr. Day celebration. Two representatives of the University of Kentucky will be part of the day’s ceremonies. Miss Kentucky Clark J. Davis, a sophomore at UK, and Cliff Jackson, associate professor of vocal coaching at UK Opera Theatre, will inspire and entertain the locals commemorating the memory of America’s most honored human rights advocate. This will not be the pageant winner’s first local King Day celebration, only her first time on that particular stage. A Lexington native, Davis, 18, is a graduate of the School for the Creative and Performing Arts at Lafayette High School. She studies vocal performance with Everett McCorvey, UK professor of voice and director and executive producer of the UK Opera Theatre. Cited for his sensitive accompaniments and insightful musicianship, Jackson has been recognized as a leading pianist of his generation. He has been the pianist for many internationally renowned artists, including Kathleen Battle, Renato Scotto, Simon Estes, Edda Moser, Felicia Weathers and Gwendolyn Bradley. Classical Singer's 2009 Vocal Coach of the Year, Jackson has also gained a wide reputation as an outstanding coach of vocal repertoire ranging in scope from the baroque to 20-century opera. On UK’s School of Music faculty since 1992, he is currently associate professor of vocal coaching at UK Opera Theatre. Presented by the University of Kentucky and the Lexington-Fayette Urban County Government, Monday’s events begin at 10 a.m. with the traditional Freedom March through the streets of downtown Lexington, followed by the commemorative program at 11 a.m. in Heritage Hall, featuring Glover as the keynote speaker. Many know Glover only in his roles in the entertainment industry. With a career spanning more than 30 years, he is indeed one of the most respected actors working today. He is arguably best known for his roles as Detective Sergeant Roger Murtaugh in the "Lethal Weapon" series, as Albert Johnson in "The Color Purple," as cowboy Mal Johnson in "Silverado," and Michael Herrigan in "Predator 2." He also had roles in "Witness," "Shooter," "Saw," "Places in the Heart" and "Angels in the Outfield" as well as dozens of other movies, television shows and theatrical productions. But it’s the other face of Glover that Lexington will see Jan. 18. “Every day of my life I walk with the idea I am black no matter how successful I am,” Glover has said. Born to San Francisco postal workers active in the NAACP, Glover's activism first became apparent at San Francisco State University, where he joined the Black Students Union and led the longest student walkout in U.S. history, a five-month strike to establish a Department of Black Studies. The students succeeded when a department and a school of ethnic studies were created, the first of their kind at an American university. Understandably, Glover inherited his parents’ convictions about union activism as well. He has supported the United Farm Workers, UNITE HERE and the American Postal Workers Union. Internationally, Glover has served as a Goodwill Ambassador for the United Nations Development Program, focusing on issues of poverty, disease and economic development in Africa, Latin America and the Caribbean. He currently serves as a UNICEF Ambassador and is the recipient of the Lifetime Achievement Award from Amnesty International. Martin Luther King Jr. Day Celebration activities continue later Monday afternoon with a free showing of “Mandela: Long Walk to Freedom” at the Kentucky Theatre at 2:30 p.m. Meanwhile, the MLK Day of Service, coordinated by UK's Center for Community Outreach Martin Luther King Jr. Wildcats for Service, will take place from 10 a.m. to 1 p.m. Saturday, Jan. 16. Students and employees should sign up through Volunteer Match to volunteer with the event. The official starting point for the day is Manchester Music Hall, located at 899 Manchester St., Lexington. The MLK Wildcats for Service group has partnered with organizations around Lexington to provide volunteer sites for those participating in the MLK Day of Service. There are 15 sites total, including the St. Agnes House, Lighthouse Ministries, the Catholic Action Center, Habitat for Humanity plus many others. Presented by the University of Kentucky, the Lexington-Fayette Urban County Government and other community partners, all events are free and open to the public. This week, guest host Chase Cavanaugh speaks with UK Alumna Roula Allouch, Chair of the Board for the Council on American Islamic Relations. 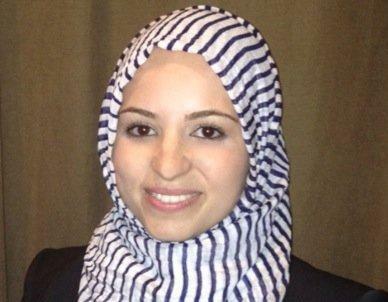 She discusses her advocacy at CAIR and shares her thoughts on the increasingly Islamophobic political climate. 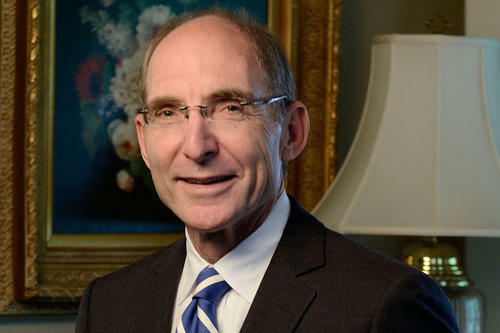 This week on UK Perspectives guest host Alan Lytle talks with UK President Eli Capilouto. He shares his thoughts on recent demonstrations and incidents of racism at college campuses across the country and talks about UK's commitment to diversity. This week on UK Perspectives Tom Godell talks with New York poet, essayist and painter Wayne Koestenbaum. He's on campus for an exhibition of his art and a conversation with UK Art Museum Director Stuart Horodner on Friday, November 13 at 6:30 pm in the Whitehall Classroom Building at UK. Koestenbaum will also be reading his poetry at the People’s Bank at 343 South Broadway on Saturday November 14 at 2 pm. And his art will be on display at the UK Art Museum through December 18, 2015. 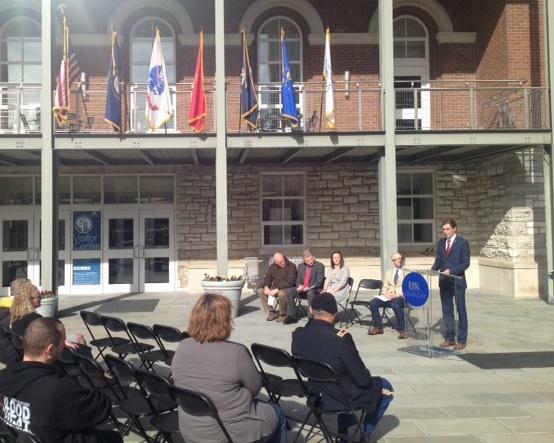 The University of Kentucky observed Veterans Day with a ceremony in front of the Main Building. 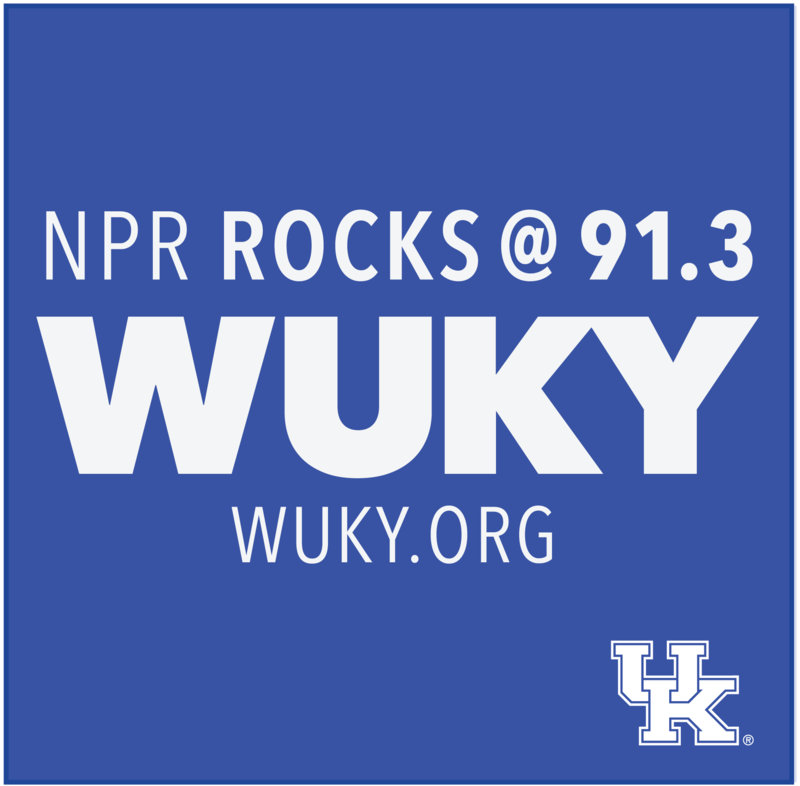 This week on UK Perspectives guest host Alan Lytle talks with UK Veterans' Resource Center Coordinator Anthony Dotson about the range of services offered to non-traditional students with military backgrounds.